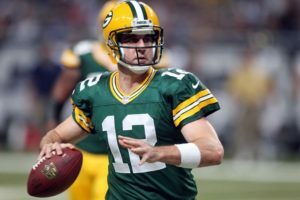 The Green Bay Packers did little right in the first half and went into the locker room at halftime trailing the Chicago Bears 17-0. Chicago would increase that lead to 20-0 early in the third quarter, but it’s what happened just before the start of the second half that is key. Aaron Rodgers went down with a knee injury in the first half and was carted off to the locker room. There it was determined that Rodgers injury, which caused him considerable pain, couldn’t get any worse. So Rodgers walked and then jogged back onto the field for the second half, declaring himself fit to play in the second half.